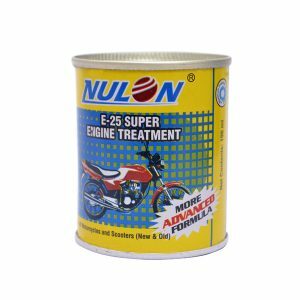 Nulon Engine Treatment is the greatest innovation in lubrication technology. This unique formula that contains activated PTFE (Poly Tetra Fluoro Ethylene, the slipperiest substance known to science) and other special additives, eliminates friction and smoothens the engine thus ensuring enhanced performance and total protection which helps in significantly increasing the life of vehicles. The major cause of component failure in any lubrication system is heat and wear & tear caused by friction. When two surface move in opposite directions, the peaks of the surfaces interact causing an abrasive action resulting in friction. Also, during normal running of the vehicle the irregular porous surfaces of the engine get clogged with carbon and sludge leading to loss of power, higher fuel consumption and increased wear and tear. In order to prevent such damage, using engine oil alone is not sufficient. The ultra-fine sub-micron particles of activated PTFE present in Nulon engine oil cleans the surface of all its impurities and subsequently forms an active and uniform protective film of 0.5 micron on the moving parts of the engine, eliminating friction to a near zero level and ensuring protection of engine and great benefits that no other engine oil can offer, allowing the engine to reach its true potential and deliver a good performance. 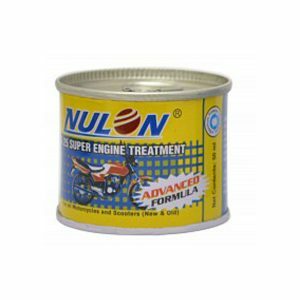 Nulon Engine Treatment is formulated with activated PTFE (Poly Tetra Fluoro Ethylene) and other special proprietary additives blended into the base oil. The activated PTFE content in Nulon Engine Treatment is inert and is not affected by acids, rust, corrosion, minerals, gases and other negative elements that are formed and found inside the engine. The activated PTFE forms an active protective film on all the engine parts and moving parts of the engine thereby preventing metal-to-metal contact and enhancing the lubrication by eliminating friction to near zero levels. This film prevents the acid/gases etc. formed during combustion of adulterated petrol to get in direct contact with the metal surface of the parts in the engine and thereby preventing the acid from doing any harm to the metal parts in the engine. Protects the engine from the detrimental effects of adulterated fuel. Average increase in fuel efficiency by 3% – 7%. Eliminates friction and subsequently reduces wear and tear inside the engine, saving downtime and maintenance costs. Increases compression, ensuring more power and better pick up. Prevents damages to the engine due to cold start-ups. Increases the resale value of the vehicle. 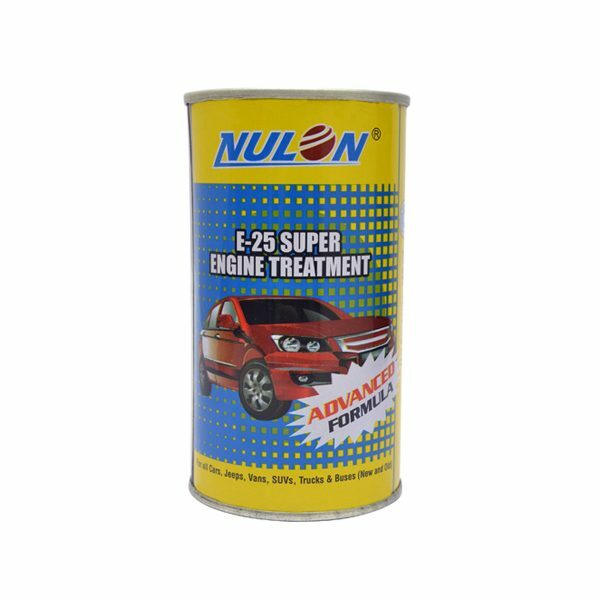 One can of Nulon E-25 Supreme Engine Treatment 350ml is suitable for all new and used cars, SUVS and jeeps. Each application is effective for 15,000kms or 6 months whichever is achieved earlier. The average cost for two wheelers works out to one paisa per km. Step 1 Run engine for some time to ensure that engine is at normal operating temperature. Step 2 Turn off or stop the engine once it is at normal operating temperature. Step 3 Shake Nulon Engine Treatment can vigorously for at least two minutes (as applicable with reference to the kind of vehicle; check application rates mentioned above). Step 4 For 4 Stroke engine add contents of the can to the engine oil sum. Step 4 For 2 Stroke engine add contents of the can to the petrol tank (there should be at least 2 litres of petrol in the tank). Step 6 Run/Drive engine for at least 20 minutes after application.